Blog - Is Seaweed Nearing the Top of the Superfood Table ? Everyone seems to be looking at the nutritional and environmental benefits of sea greens of which kelp is one. Sea Greens are a form of vegetable that grow in the sea such as Nori (used to wrap sushi), wakame (in miso soup), arame, dulse, kombu, kelp and hijiki. Public interest is growing and top chefs are introducing it into their rerstaurants. Many people are unsure how Sea Greens can be used. Especially popular in Wales is Laverweed which is used to produce Laverbread. 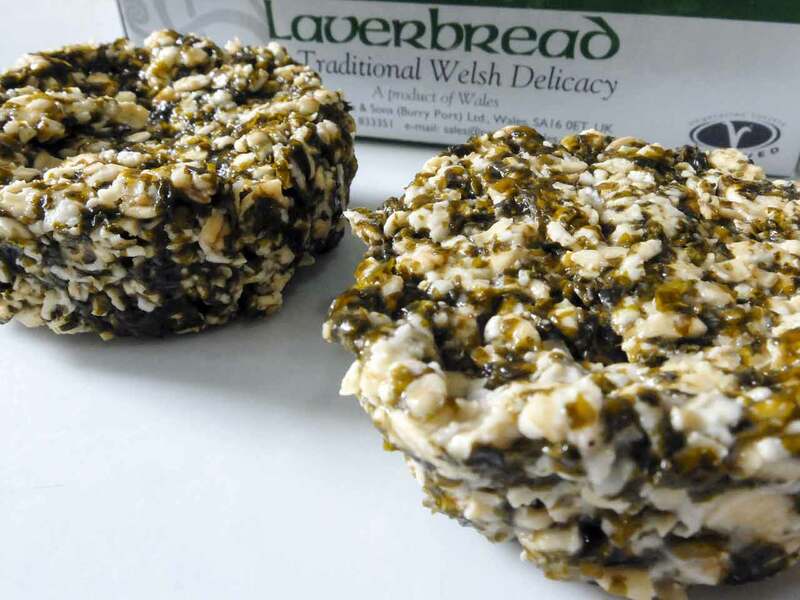 Laverbread is a traditional Welsh delicacy made from laver. To make laverbread, the seaweed is boiled for several hours, then minced or pureed. The gelatinous paste that results can then be sold as it is, or rolled in oatmeal. Why are sea greens becoming so trendy ? They are packed with flavour adding a natural seasoning to foods-add to soups and salads and as a flavouring for fish. Virtually fat free and low in calories as well as being filling. Natural fibre in sea kelp called alginate inhibits enzymes that digest fat so less is absorbed by the body. Rich in the minerals including iodine which contributes to thyroid health which regulates the metabolism and enhances growth, development and energy - people following a low salt diet may be deficient in iodine. Iodine contributes to normal cognitive function as well as maintenance of healthy skin and hair. Have natural antioxidant and diuretic properties. Important ingredient in Chinese, Japanese and Korean Cuisine. Can be purchased in powder form and added to smoothies and drinks or even to dips such as guacamole to increase nutritional value. Why not look at our ranges from Sanchi and Atlantic Kitchen or treat yourself to a seaweed face mask ! Whilst you are falling in love with sensational harvests from the sea you may also want to visit our range of chlorella and spirulina superfoods to boost your energy levels in the drab Winter months. 1. Mix the laverbread (Parsons is a well-known brand) with the porridge oats in a large bowl with a fork. 2. Add a grind of black pepper and a good pinch of sea salt (Halen Môn is very good, made in Wales, and widely available) and mix well. 3. Shape into small rounds using something like a cookie cutter as a mould. Depending on what size mould you use, you should get more than a dozen from this recipe. 4. Frying them in bacon fat (rendered from cooking your streaky bacon in the oven first) until crispy and golden gives the best taste but using vegetable oil and then dabbing with some butter when cooked is almost as good and makes the laverbread a delicious addition to a vegetarian breakfast. 5. Serve with the breakfast of your choice.